Sesame Noodles - Ready In 15 Minutes! An alluringly simple sesame noodles recipe that is super quick to make and tastes like Chinese take-out! 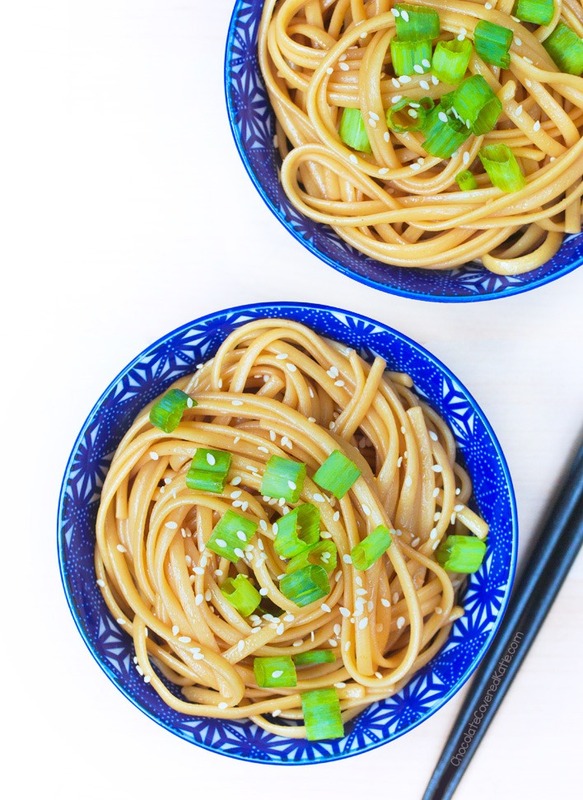 These super easy sesame noodles are a healthy and totally plant-based recipe you can eat hot or cold, for a quick and delicious weeknight meal! 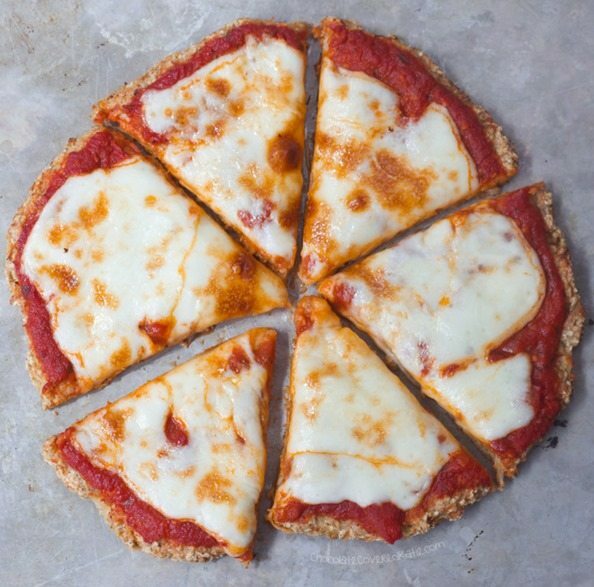 The best part about the recipe is that you can easily customize it however you’d like, adding protein or bulking it up with any veggies you have on hand. Sometimes I like to stir a few tbsp of peanut butter into the sauce to change it up, and it’s really good that way too! Don’t forget dessert – Try either these Vegan Brownies or Black Bean Brownies! 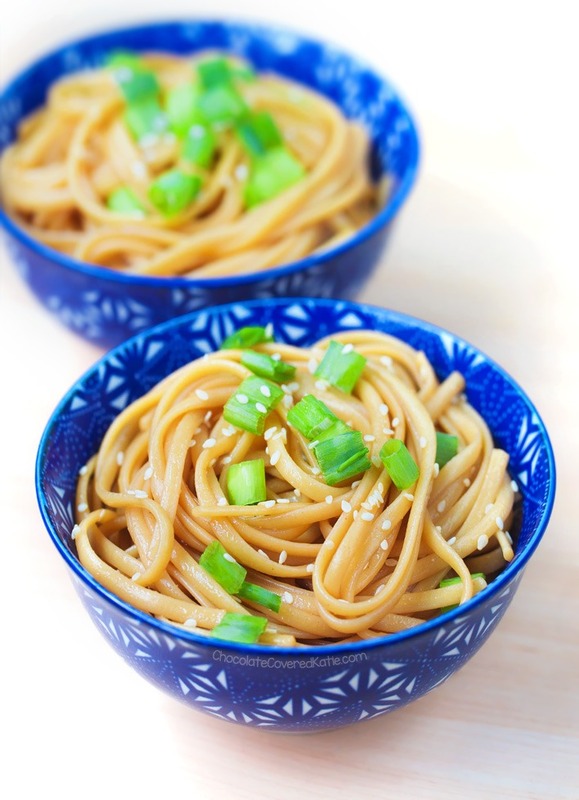 I first made a version of these healthy sesame noodles back in college, on a night when I returned home from class feeling so hungry but finding close to nothing in my fridge. Being forced to improvise, I cooked up some noodles, tossed them with bottled sesame ginger salad dressing, and called it dinner. It was the start of many more college nights eating hot or cold sesame noodles for dinner. These noodles were like my own version of the ubiquitous packaged ramen popular with so many college students. 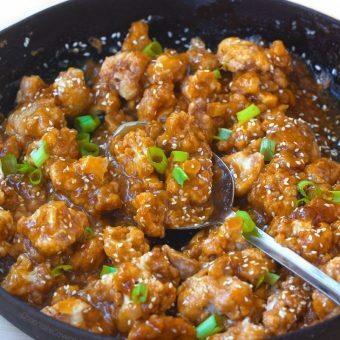 Recently I’ve been making my own homemade sesame ginger dressing instead of buying it at the store, and I was happy to discover that this new dressing on top of noodles is even better than the ones I remember from college. 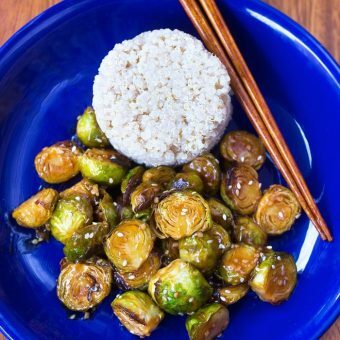 If I’m not eating the vegan sesame noodles as a side dish, I’ll usually stir in some veggies and a source of protein, for a healthy one-bowl meal that’s easy to make and includes all the facets of a nutritious dinner. 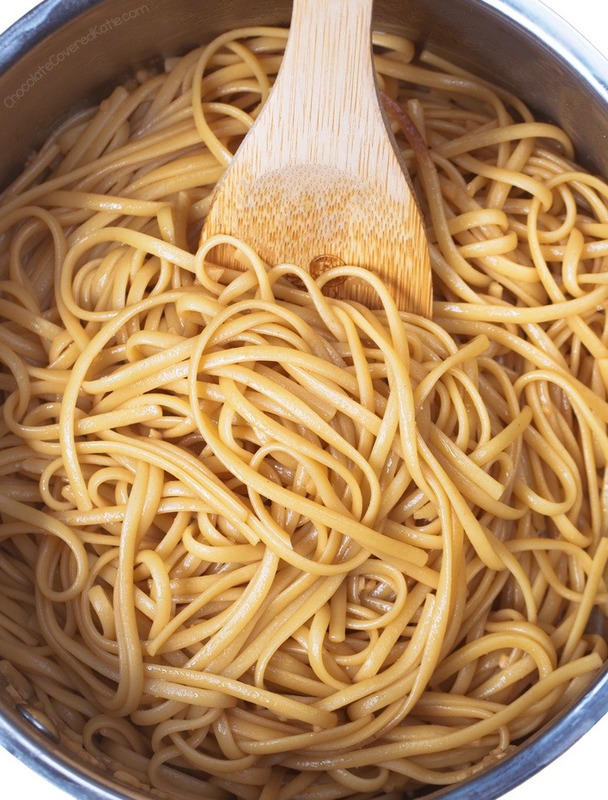 Bring a salted pot of water to a boil, and cook pasta according to package directions. Drain fully but do not rinse. Meanwhile, stir together all remaining ingredients except garnishes. Once pasta is drained, combine everything together. Garnish as desired. Leftovers can be served either hot or cold. I was married for over 24 years. We ate some version of noodles, veg, and protein w/ salad dressing so often we just called it “The Usual”. We’d put it in one big salad serving bowl and each take a spoon or fork and go at it like feral dogs. HOnestly anything with seed or nut butter tastes good! Sesame ANYTHING tastes great. I remember eating this sesame soba noodle salad my mother used to make for me as a kid. It tasted really fresh but superb and hearty! I absolutely loved it! 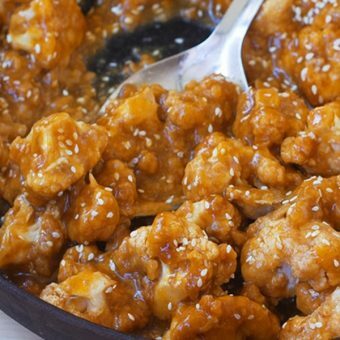 great home made fast food, like the tweaks that you suggest too, thank you! Thank you so much for this recipe, Katie! I’m looking forward to trying it out on my family. This is my ideal dinner food! 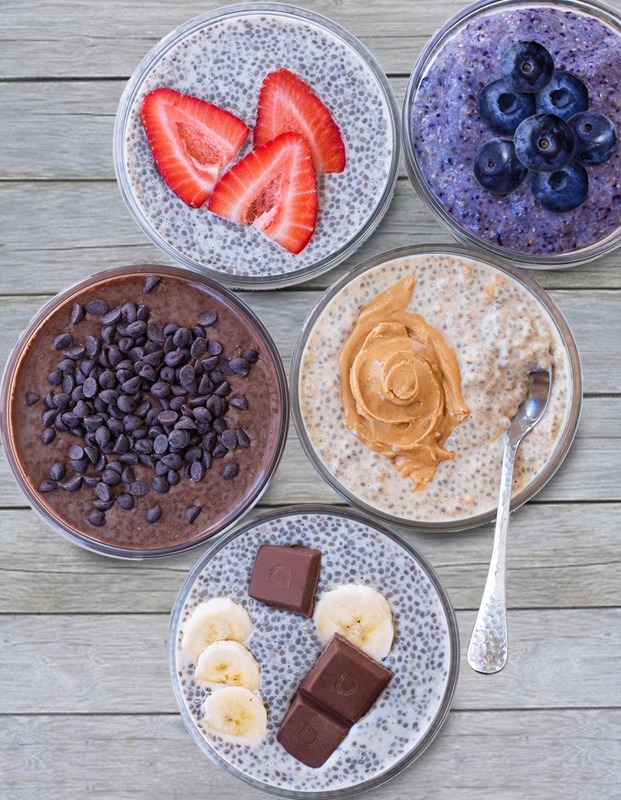 Carbs, nuts or seeds, and a yummy sauce – I could eat it every day! 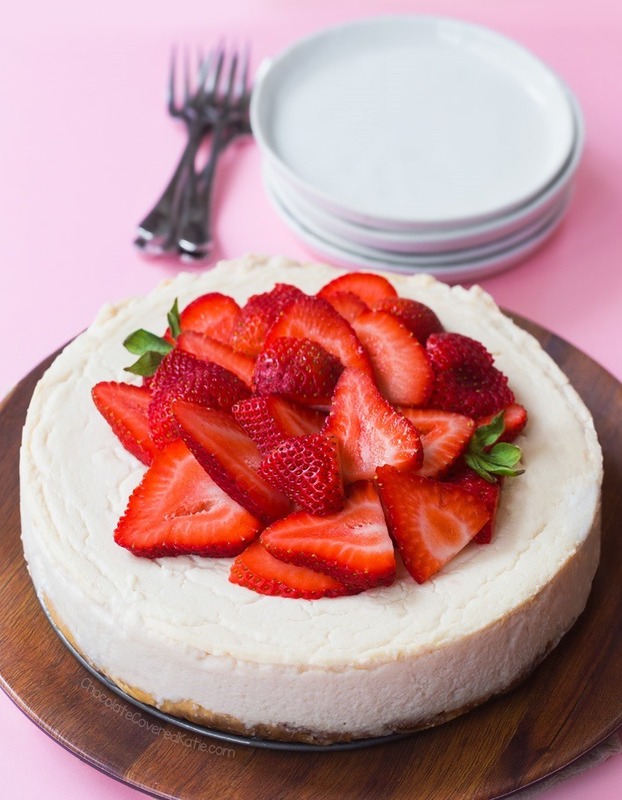 Would you mind listing the type of ingredients you used in any given recipe, in case we’d like to copy as it is in the picture? What type of noodles did you use for this one? Mmm, love those! That’s what I’m gonna use. Sooo hot here in France so we had these cold as a salad for lunch. Yummy! Next time I’ll add some crisy veg. The sweetener of choice, is that optional or does it really make it taste better? I don’t like sweet things in meal foods like when people add sugar to marinara. What types of sweeteners would you suggest though? I can’t wait to try this recipe! 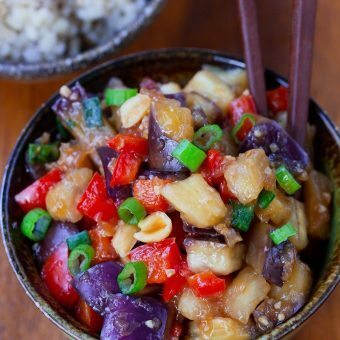 I haven’t tried this recipe yet but in other noodle sauces, I use coconut sugar. Just little won’t make it overly sweet but gives it such a nice flavor. My mother is the same, she thought it would be just gross and sweet but she actually enjoyed the noodles very much. Definitely try it!